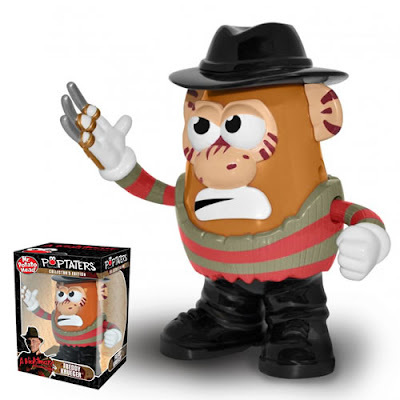 New from PopTaters: Freddy Krueger Mr. Potato Head. He of course comes with his signature claw gloves. The Freddy Krueger Mr. Potato Head is also sold on eBay. And keeping him company is the Jason Voorhees Mr. Potato Head, complete with mask and knife. 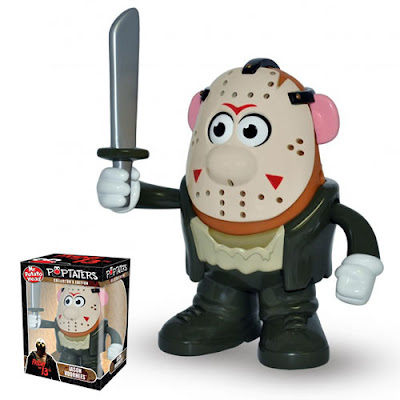 The Jason Voorhees Mr. Potato Head is also available on eBay. 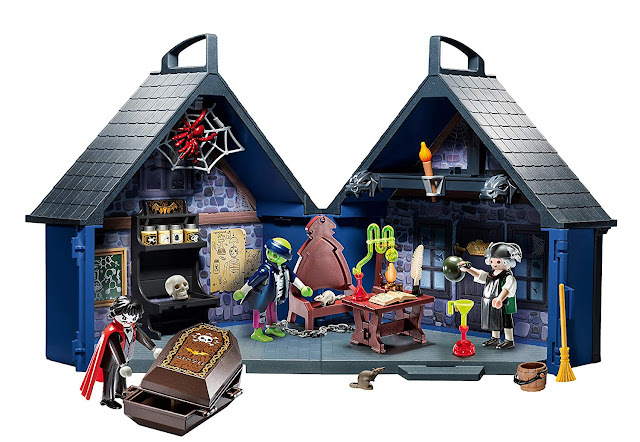 If you could actually get any work done with these menacing toys staring at you in your cubicle or on your desk all day, I salute you!